The debris field from an early season slide in Colorado. CAIC photo. There are no current avalanche advisories in Montana, but slides have been observed in the Bridgers and at Big Sky. 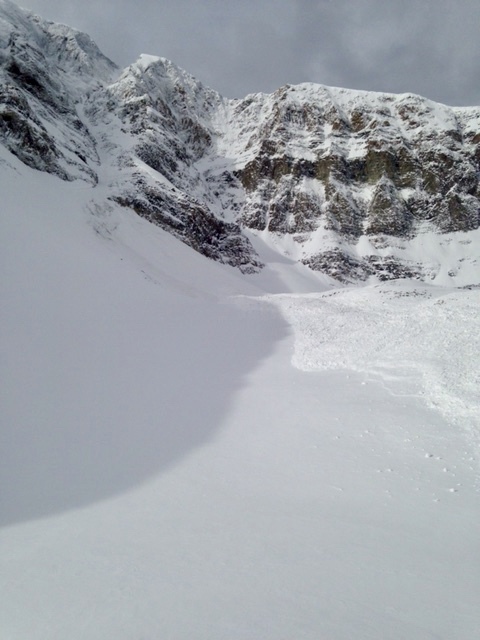 This naturally-triggered avalanche occurred at Big Sky on Friday, Nov. 2. Luckily, no one was in the area. Big Sky Resort photo. Jackson Hole is the only area in the country with active avalanche advisories. The Teton, Togwotee Pass, and Grey’s River areas all have low-risk advisories based on wind-slabbing on northern and eastern aspects. Bridger Teton Avalanche Center graphic. The only avy-related injuries this season have been in Colorado’s high alpine. A skier was caught and partially buried by a slide on Friday, Nov. 2 near Hoosier Pass. Luckily, he was uninjured and was able to self-rescue. 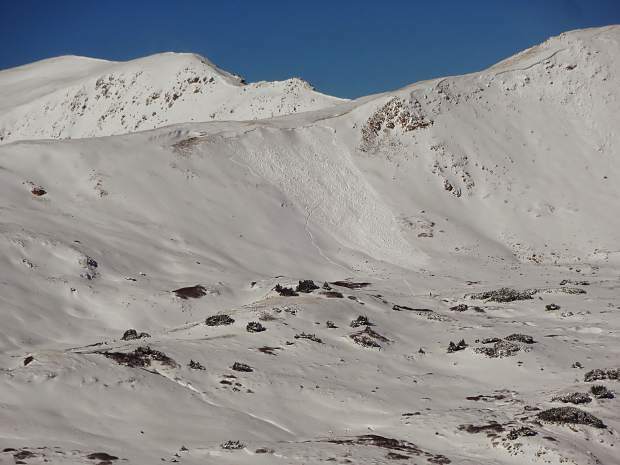 The slide which left a skier partially buried near Hoosier Pass. CAIC photo. There were two incidents in October, including one in which a hiker was swept off a cliff by an avalanche on South Arapaho Peak, near Boulder. While the October events were likely due to residual snow from last season, they indicate a potentially unstable snowpack rendered even more hazardous by recent snowfall.